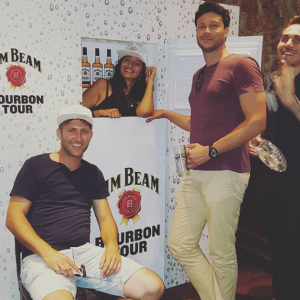 Thursday night is quiz night at the Port, but we were delighted to be joined by the Jim Beam team for a special surprise! 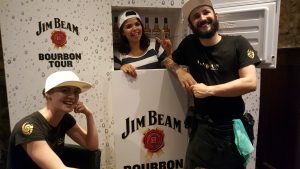 Setting up their photo-fridge (I know, barmy, but we love it), the Jim Beam team paraded round our venue showcasing the perfect served Jim Beam highball and intriguing our guests with various cocktail recipes. 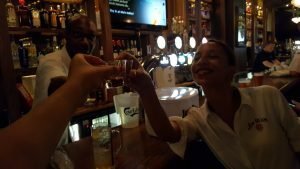 And of course, the freebies were always appreciated!